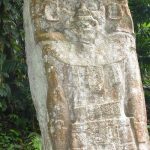 Antigua wasn’t Guatemala’s first colonial capital – that honour goes to nearby Iximche – but, from 1543 to 1773, it was both capital of the nation and the most important city in Central America. In these 200 plus years Antigua grew in size and grandeur with numerous, lavish private and public buildings being constructed including, at one stage, some 38 churches. Fortunately for today’s visitor, it’s hard to put a great town down and Antigua was never entirely abandoned. Although Guatemala City grew in size and importance, Antigua too began to grow again and much of it was restored during the 20th century…..only for yet another major earthquake to hit in 1976. Thankfully there have no further major earthquakes in Antigua and, in support of its restoration plans, it was declared a UNESCO World Heritage site in 1979. 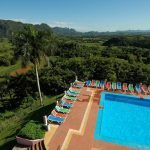 Today, Antigua is the single most popular visitor destination in Guatemala and one of its major attractions are the scars of its previous travails. Despite the severity of the earthquakes that it has been forced to endure, many of the grand public buildings that were in place at the time were very badly damaged, yet never completely collapsed. 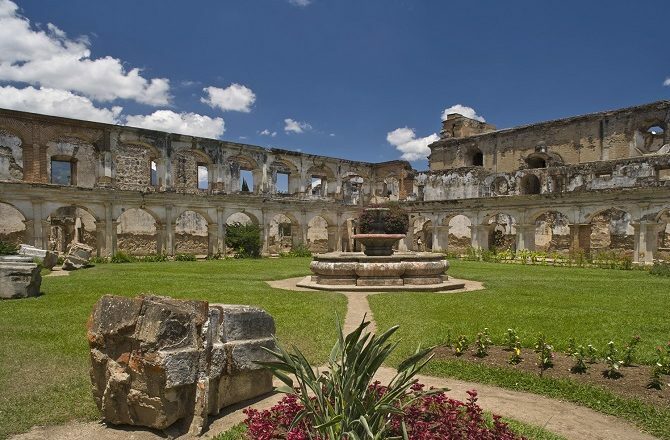 As a result, Antigua is awash with the atmospheric ruins of its colonial past. 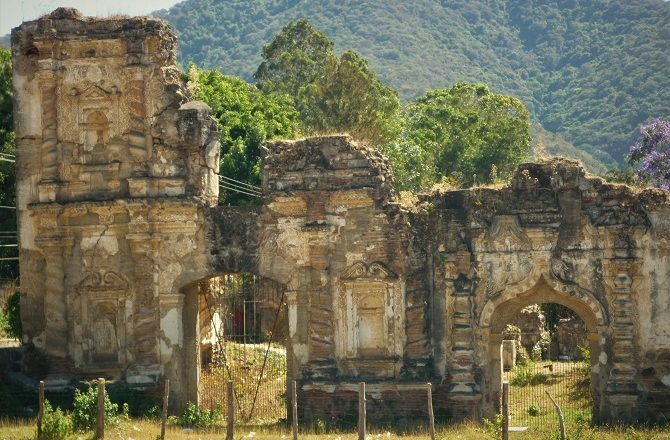 Many of these ruins are still standing, just, but are unsafe for visitors to wander around; being hit on the head by falling masonry would not be good for Antigua’s image. Even so, just to see these ruins from the outside is a real pleasure. Better still, there are a number of ruins which you can safely enter (tickets required). Perhaps the single most impressive example, certainly in terms of scale, are the ruins of Santiago Cathedral. Located next to Antigua’s Parque Central, this huge cathedral was constructed in 1545 but brought down by the earthquake of 1773; how the remaining walls have lasted upright since then is little short of a miracle. 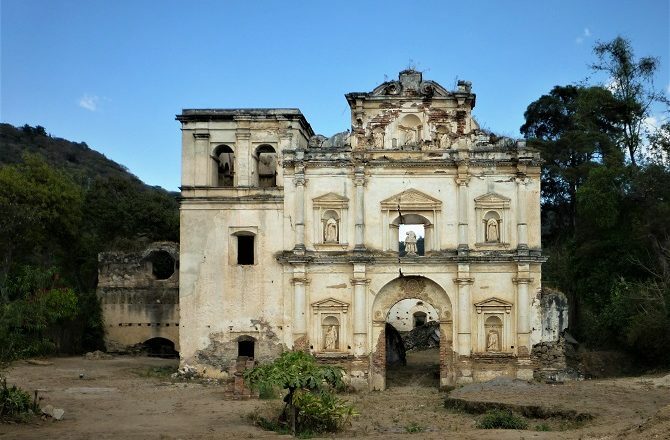 Perhaps the most beautiful ruin, now extensively renovated, is Convento de Capuchinas, a convent that was also so badly damaged in 1773 that it was abandoned by its resident nuns. The gardens are a wonderful place to sit on the grass and ponder what life must have been like before and after that fateful day. 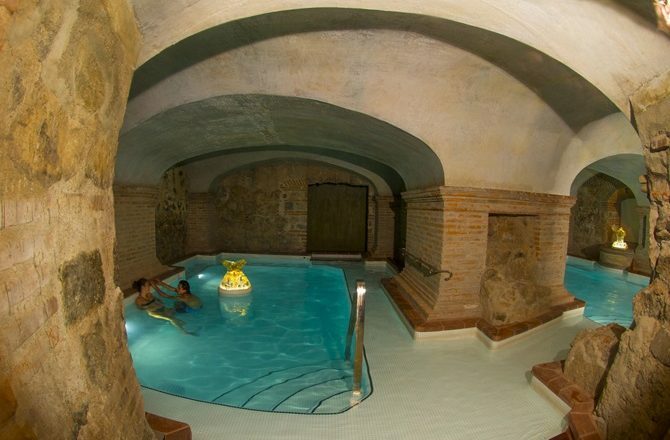 Finally, why not combine one of Antigua’s many ruins with somewhere to stay? 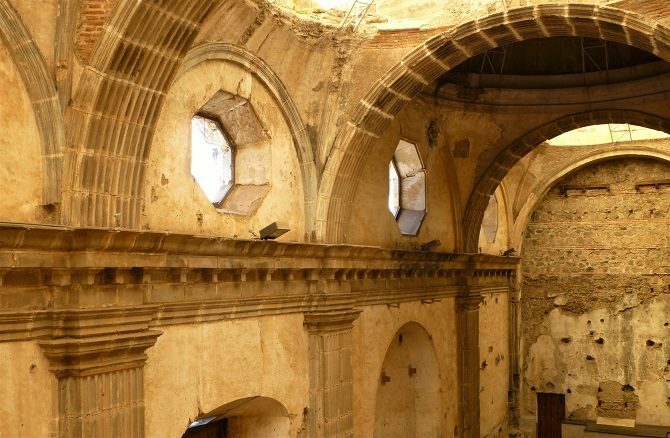 The Convento de Santo Domingo was a Dominican monastery that was also abandoned and left to decay before finally being bought as a private home by an American archaeologist and extensively restored; it was then taken over again to become the Santo Domingo Hotel, surely the most atmospheric such hotel in a town full of such properties. Non-guests can visit part of the site for free, other parts require a ticket.